Graphic Image Signs is a full service signage company, which can help elevate your business to the next level. We have the skills and experience to offer a complete range of signwriting regardless of your needs. From a simple A-board, to a complete business re-brand, Graphic Image Signs is your one stop shop. 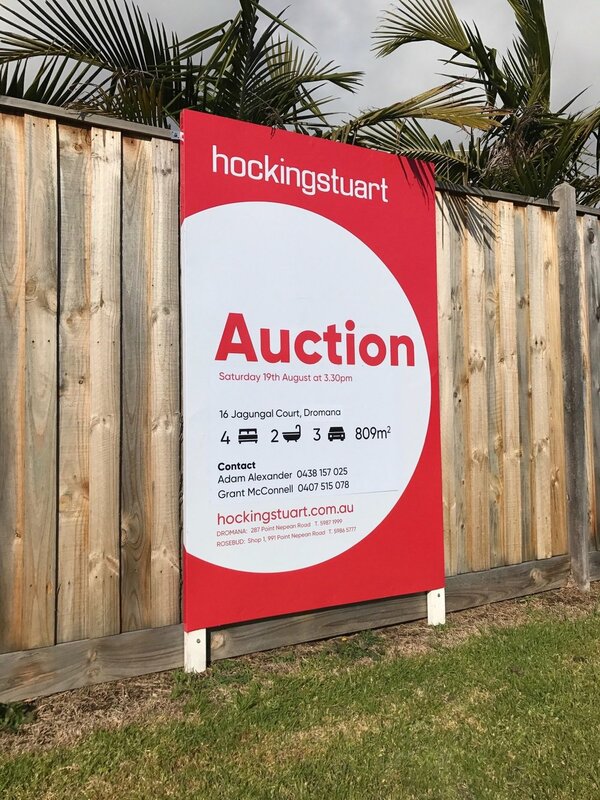 We are the major supplier of real estate signage on the southern Mornington Peninsula, and are able to deal with the sophisticated artwork and manufacturing requirements of contemporary signs. If you're a tradesman, we can create artwork for you, or use art you already have, to signwrite your ute or van and supply site signs. If you're a retailer, we can signwrite your shop. Whether it be a splash of 'Sale' signage on the windows, or a big illuminated pylon sign. If you're a club, we can supply event signs and letter your honour boards. We can even supply a name for your house. Or just about anything else! Contact us to discuss the possibilities. Our greatest strength is our ability to provide local service. When there are problems and things need to happen right now, we're on the scene, not hours away and dependent on some subcontractor to do the work for us. Beyond the basics of generic and photographic real estate boards, we can mount signs on top of shopfronts or offer more suitable alternatives like banners or temporary coreflute signs. We can provide open-for-inspection and auction day signs, as well as special event signs personalised to your corporate style. On top of signs for properties, we can also look after the branding of your shopfront. Exterior and interior signage, along with window displays, are all part of the package. We have long experience working to the specific style requirements of the big franchises, and can design your whole corporate look from business card to shopfront. Please call us to discuss what we can do for you.